"Viral videos don't always show the whole story and can lead to confirmation bias." Illustration published on Sunday, Feb. 10, 2019. The confrontation recorded between Covington Catholic student Nick Sandmann and an Omaha tribe elder Nathan Phillips happened nearly a month ago, but the flurry of misinformation and unclear news coverage that came out of the event are still a topic of debate. Most people can agree on the basic facts of what happened on Jan. 18. Sandmann, who was part of a March for Life demonstration, stood face to face on the steps of the Lincoln Memorial with Phillips, who was there for the Indigenous Peoples March. But how the event was characterized varied widely across media outlets. Whether or not people took the time to assemble a more well-rounded understanding of the events, people reacted intensely on social media platforms, leading to some of them making statements for which they are facing consequences now. One of them was Lillian Wallace, a lecturer in the ASU Leadership and Interdisciplinary Studies program, who recently apologized for making a statement on Facebook where she mistakenly identified the Covington student in the video. The misidentified student was not at the event that day, nonetheless he­, like Sandmann, received violent threats as a result. ASU professors and faculty said that Wallace's case and the spread of misinformation surrounding the video created lessons that people can learn from next time an event like this occurs. Kristy Roschke, the managing director at the ASU Walter Cronkite School of Journalism and Mass Communication, said that one of those lessons involves people examining their inherent biases that can distort the way they interpret information. Roschke said that even credible journalism organizations may use sensationalist tactics that prey upon these biases and our emotions – particularly fear and anger. When videos of the encounter first went viral, many individuals and news sources presented it as a demonstration of complete disrespect from Sandmann, who was reported to be smirking and blocking the path of Phillips as he was beating his drum and singing in his native language. As new, longer videos with more perspective emerged, it became clear that there were a large number of critical details left out of the original reports that could have helped contextualize the situation. Scott Ruston, a research scientist for the ASU Global Security Initiative and an assistant research professor for the ASU Center for Strategic Communication, said the story also points out a need for people to recognize the limitations of video reporting. Ruston said that how a video gets cut, captioned and distributed all take part in shaping people’s opinions on what actually happened, so it is important for viewers to learn how to identify these things before making conclusions. David Martinez, an associate professor in the ASU American Indian Studies program, said that the controversy highlights the need for both sides to learn from each other. Martinez explained that certain actions the Covington students made – particularly the tomahawk chopping arm motion – come across to many natives as a mocking of their traditions and an evocation of the "savage Indian" stereotype. “I’m sure that in their minds they didn’t see themselves as doing anything disrespectful, but that doesn’t mean they weren’t acting from a point of ignorance,” he said. Martinez said he hopes the cultural conversation at the heart of the story continues, despite the debates over social media. “The value of understanding each other should not be underestimated,” he said. Reach the reporter at mswhitey@asu.edu or follow @MarissaWhitey on Twitter. 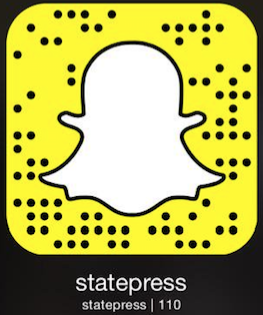 Like The State Press on Facebook and follow @statepress on Twitter.